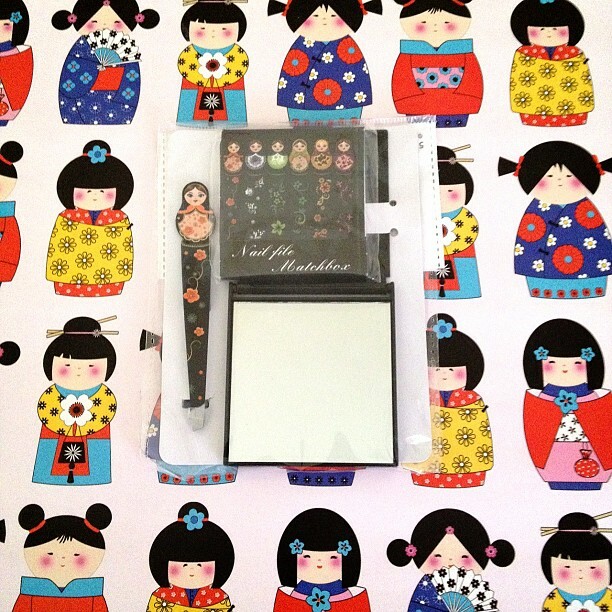 I had to have some stationery of course! Salt and Pepper Shakers... so cute! My friend loves to look good so this was prefect. 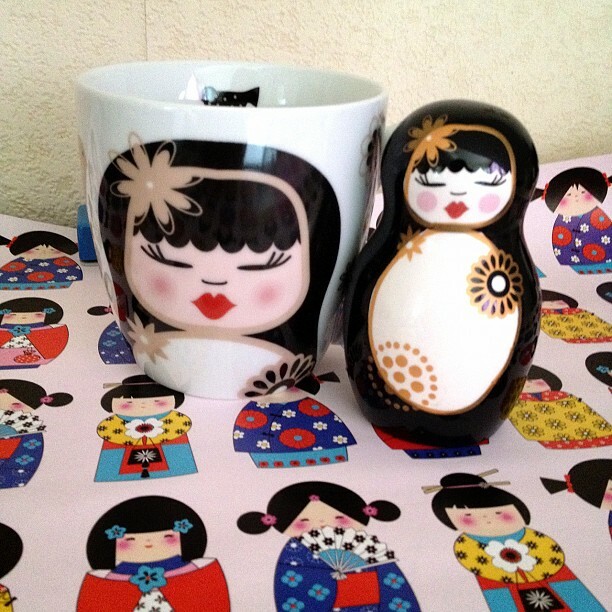 A cup I saw that matched a Russain Doll ornament that I had so I sent both. 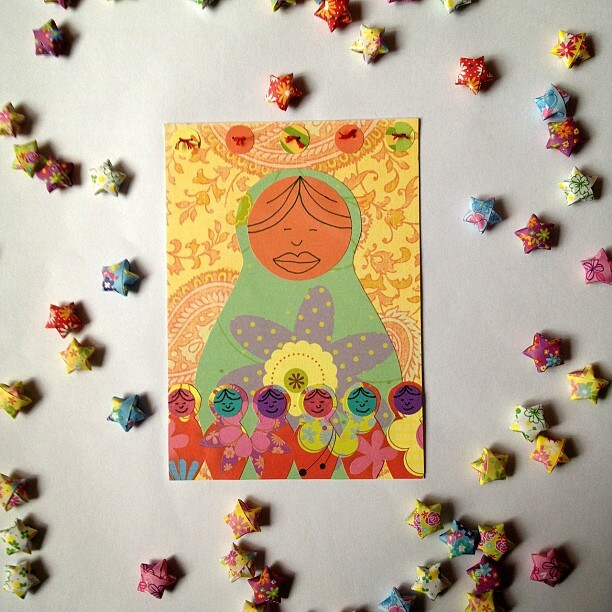 I finished it off with a touch of handmade... 340 stars and a Russain Doll postcard. I used my circle punch to create buttons incase my friend decides to frame it. I could have honestly have kept everything for myself. I hope that she had a wonderful birthday. Are you celebrating anything soon? Happy birthday to your friend! 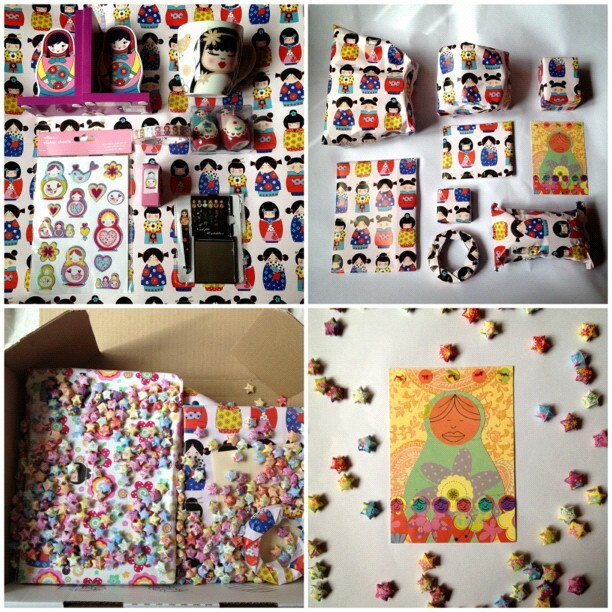 This is a very thoughtful and lovely gift with great theme! 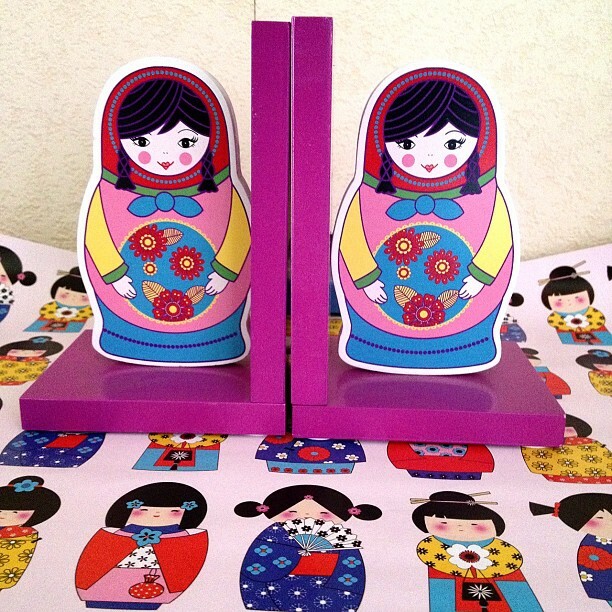 This is the first time I came across some Russian doll themed gift. And did you make the gorgeous postcard? It's very creative! OMG! So much awesomeness! I love themed packages! 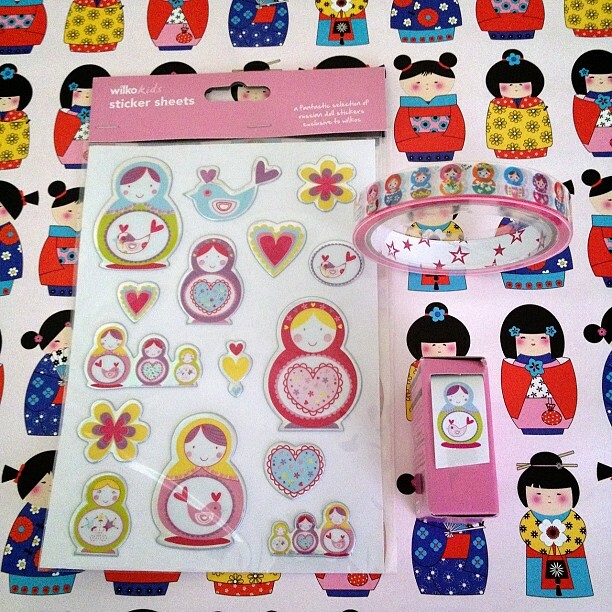 so much awesomeness here i use to havea et of nesting dolls that i loved. No celebrations here this week. 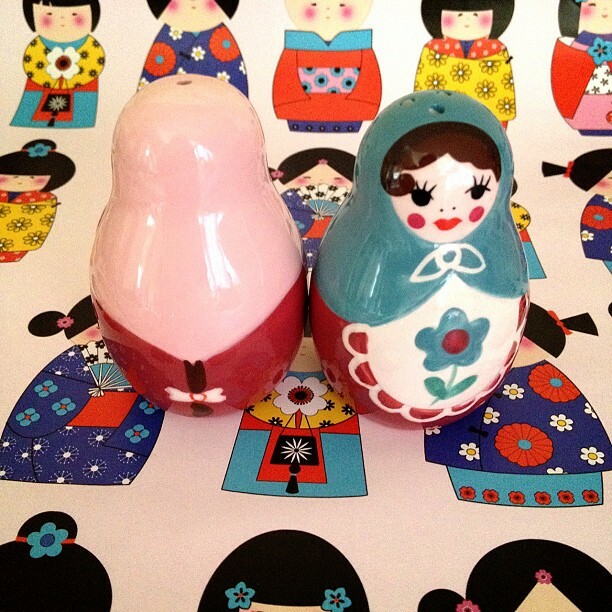 I love Russian Dolls, I've had a passion for them since I was a child...and old Russian icons. But, back to the dolls, I recently found out that each colour means that it was made in a different place. My big one is orange and red, that means she is from Siberia.